Washington Crop Insurance. Crop insurance can be purchased by farmers or agricultural producers to protect them against the loss of their crops due to a natural disaster or loss in revenue due to declines in the price of their commodities. Cash grain farms grow a variety of grain crops for sale, including barley, corn, oats, rice, rye, soybeans, and wheat. While weather conditions are outside the control of farmers, grain farming also depends on natural substances such as compost and manure to be successful, plus several chemical applications such as fertilizers, fungicides, herbicides, and pesticides. Bailers, combines, cultivators, disks, drills, hay rakes, mowers, plows, press wheels, seeders, tillers, tractors, and other types of farming machinery are required to support grain production on these farms. Let's take a look at Washington crop insurance policies that you might need to make sure that your crops and your income are protected. Washington crop insurance protects your cash crops like corn, cotton, soybeans, and wheat from weather damage or falling prices - with rates as low as $77/mo. Get a fast quote and protect your income now. MPCI covers farmers for crop loss due to natural events or disasters. This insurance also covers for lower yields as a result of natural events. Some common natural events that can affect a crop include: destructive weather (hail, damaging wind), drought, disease, insect damage, fire or flooding. MPCI is federally regulated, but is sold by private crop insurance companies. Around 90% of farmers who choose to purchase crop insurance choose to buy MPCI coverage. This coverage is available for over 120 different crops. There are geographical restrictions, though, on which crops are covered. 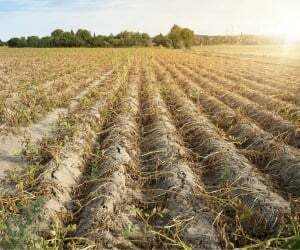 Multiple Peril Crop Insurance policies must be purchased before the start of the particular crops growing season. The federal government establishes deadlines for when MPCI must be purchased. Many of these policies include incentives to replant crops if they are damaged early enough in the season. They also may enforce a penalty if the crops are not replanted. This type of Washington crop insurance is important to farmers living in areas of the country where hail is a frequent event. Hail can be incredibly damaging to crops, however, it is unique in that it can completely destroy one area of the crop, but leave the rest untouched. These policies are sold by private crop insurance brokers and are regulated by the Washington state insurance department. A lot of WA farmers choose to buy crop-hail insurance as a supplement to their Multiple Peril Crop Insurance. 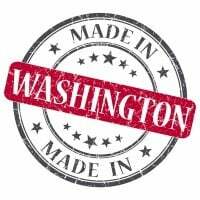 These Washington crop insurance policies typically include a very low to no deductible. This coverage can be purchased at any time during the growing season. Many farmers find crop-hail insurance to be beneficial as a supplement to MPCI because some hail claims are smaller than what the deductible for their MPCI is, so they end up paying less out of pocket for small hail claims when they have this coverage. MPCI mixes federal insurance with private crop insurance to successfully offer comprehensive and affordable coverage to America's farmers. Another type of Washington crop insurance is called crop revenue insurance. This policy helps to protect farmers during the years when their crops have a low yield or when the price of their crop is low. This type of coverage helps to ensure that the farmer's revenues are protected against dramatic swings in crop prices. Property exposures depend on the size of the operation, type of grain stored, and the number and types of buildings. Primary ignition sources include the automated conveyance equipment, static electricity built up within grain storage areas, faulty wiring, fuel, heaters, and smoking. Explosion can arise when grain dust and vapors from certain chemicals, fertilizers, and fuels are combined with stored grain or hay. The age, condition and construction of buildings and structures must be considered. All machinery should be grounded to prevent static buildup and discharge and inspected and maintained regularly to avoid wear and tear or overheating losses. Wiring must be up to date, of sufficient capacity, and with explosion-proof fixtures. Moisture and temperature levels must be continuously controlled. Lightning may strike buildings unprotected by rods and Ground Fault Interrupters (GFIs), grain dryers can overheat or become jammed, decaying organic material may spontaneously combust, burning operations may spread, and severe winds and tornados may destroy property in certain geographical areas. Buildings may collapse under the weight of stored grain. Farms are in rural areas where fire response time may be slow and a water supply to douse a fire may be undependable. Smoking should be prohibited. The business income exposure can be high as some processing equipment may be difficult to repair or replace quickly. Equipment breakdown exposure is high due to the extensive use of machinery and equipment for planting, harvesting, and storage. All machinery and equipment must be regularly inspected and maintained. Crop exposures are high because growing crops are in the open and are susceptible to damage by animals, bacteria, drought, flooding, frost, fungi, hail, insects, lightning, snow, viruses, weeds, wildfire, wind, and winterkill. While some of these can be mitigated by proper farming practices or chemical applications, others are random acts that may or may not be covered by insurance. Crime exposures are minimal. Most equipment and inventory are large, heavy, and difficult to remove undetected. Cash exposures are usually small. Employee dishonesty exposures are minor in family-owned and run operations. Pre-employment background checks should be done on all outside employees having access to cash, checks, safes, and equipment. Inland marine exposures include accounts receivable if customers are billed, computers, goods in transit, mobile equipment, and valuable papers and records for customer, regulatory, and supplier information. Grain farms require a lot of agricultural machinery including combines, irrigation systems, and tractors. Farm equipment stored in buildings can be damaged or stolen. Grain in transit to offsite storage facilities or to customers can be damaged by overturn or collision, which may result in a total loss due to the possibility of food contamination. Premises liability exposures are generally low. The operation of farming equipment and ATVs not subject to motor vehicle registration falls under premises liability, not automobile liability, even when being used on public roads. Poor rural road conditions combined with heavy or awkward equipment and occasional operation by underage drivers can result in accidents. Group tours and frequent visits by agriculture agents, chemical applicators, mechanics, and inspectors increase the exposure. Visitors may be injured due to uneven walking surfaces, inadequate housekeeping, farm machinery, and confined or closed spaces in bins, tanks, and silos. Dust explosions and fires may affect neighboring properties. If third parties use the land for recreational purposes, such as hunting, fishing, or camping, the exposure increases as there may be remote areas that are difficult to patrol and control. Products/completed operations liability exposures are limited when the farmer delivers produce to processors, although there can be a possibility of contaminated grain from the use of chemical applications. Only FDA approved pest control chemicals should be used around stored grain. Genetically engineered seed and grain is a social concern, but health hazards are not known at this time. Environmental impairment liability exposures can be high due to the potential for air, land, or water pollution from agricultural chemicals, animal waste, fuels for machinery and motor vehicles, refrigerants, and solvents. Use and disposal of all chemicals must be documented and meet all FDA and EPA standards. If there are underground storage tanks, a UST policy will be required. Workers compensation exposures are very high as farming is very labor-intensive. Work may be required for long hours and in all kinds of weather conditions. Workers may be seasonal, speak another language, and lack adequate training and supervision. Working around farm machinery, tools and equipment can result in a variety of injuries ranging from minor to severe. Slips, trips, falls, back injuries from lifting, broken bones, foreign objects in the eye, hearing impairment from noise, and muscle strains are common. Employees can receive shocks from malfunctioning electrical equipment or from static charges built up from grain dusts. Exposure to farm chemicals and organic dust can lead to respiratory issues. Workers can suffocate in confined spaces such as grain bins, tanks, silos, and pits. Safety harnesses and respiratory protection are required. Injuries can result from falls from heights and loading and unloading vehicles. Business auto exposures are moderate. Grain transport vehicles are heavy and awkward, especially on narrow rural roads. Drivers who are less than 16 may be permitted to drive vehicles during planting and harvest times. All drivers must have appropriate licenses and acceptable MVRs. Vehicles must be well maintained with documentation kept at a central location. Regardless of what types of crop insurance you choose to purchase, having that layer of protection is essential. Interested in learning more and finding out which type of Washington crop insurance is right for your agribusiness? Talk to a private crop insurance specialist today about your options and what will work best for your farm or ranch. Private crop insurance, how much does crop insurance pay, types of crop insurance, crop insurance companies, what does crop insurance cover, federal crop insurance program & crop insurance calculator. 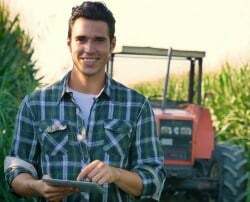 Request a free Washington Crop insurance quote in Aberdeen, Anacortes, Arlington, Auburn, Bainbridge Island, Battle Ground, Bellevue, Bellingham, Bonney Lake, Bothell, Bremerton, Burien, Burlington, Camas, Centralia, Chehalis, Cheney, Clarkston, College Place, Covington, Des Moines, DuPont, East Wenatchee, Edgewood, Edmonds, Ellensburg, Enumclaw, Ephrata, Everett, Federal Way, Ferndale, Fife, Gig Harbor, Grandview, Hoquiam, Issaquah, Kelso, Kenmore, Kennewick, Kent, Kirkland, Lacey, Lake Forest Park, Lake Stevens, Lakewood, Liberty Lake, Longview, Lynden, Lynnwood, Maple Valley, Marysville, Mercer Island, Mill Creek, Monroe, Moses Lake, Mount Vernon, Mountlake Terrace, Mukilteo, Newcastle, Oak Harbor, Olympia, Othello, Pasco, Port Angeles, Port Orchard, Port Townsend, Poulsbo, Pullman, Puyallup, Redmond, Renton, Richland, Sammamish, SeaTac, Seattle, Sedro-Woolley, Selah, Shelton, Shoreline, Snohomish, Snoqualmie, Spokane Valley, Spokane, Sumner, Sunnyside, Tacoma, Toppenish, Tukwila, Tumwater, University Place, Vancouver, Walla Walla, Washougal, Wenatchee, West Richland, Woodinville, Yakima and all other cities in WA - The Evergreen State.